Hey, T-Mobile customers #GETTHANKED like youve never been thanked before. 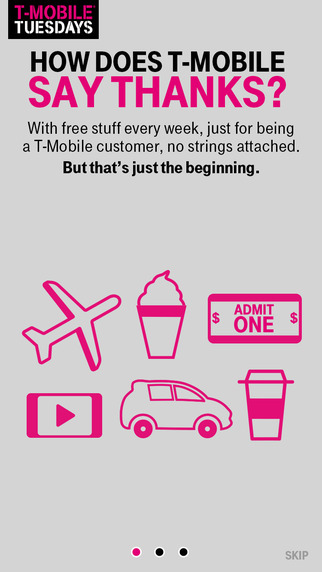 Introducing T-Mobile Tuesdays! 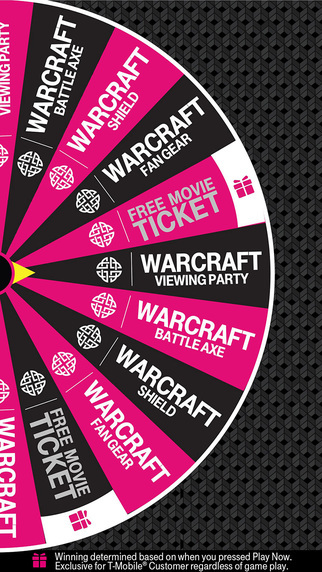 Free stuff for T-Mobile customers & epic prizes up for grabs every week. No double talk, no loopholes, no BS. Time to get the thanking you deserve. See Official Rules for how to play (including how to play if youre not a customer). The intentions of this app and promo are good, but it fails to accomplish what it sets out to do. More frustrating than functional. June 28 Update: Still doesn't work. I didn't originally sign up for T-Mobile for a free frosty and some Lyft credit every Tuesday, so I'm not too disappointed this app rarely works.